Upper structure triads are very useful for bringing new elements in your comping and single note soloing. Triads are ideal for comping because they are easy to finger and most of the time don't contain the root of the chord (which is generally played by the bass player). In this lesson you'll see which upper structure triads work best. These guitar chord substitutions open up new sounds and give you fresh ideas. 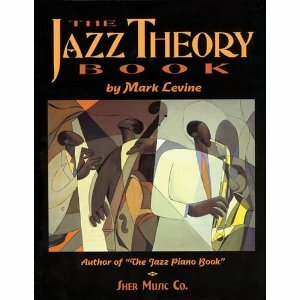 If you want to know even more about upper structure, I suggest you take a look in the excellent book "The Jazz Theory Book" (it is the true jazz theory bible) WELL WORTH IT'S MONEY! A C E 13-1-3 : this is the second upper structure triad. --> The upper structure triad must contain at least one tension which is not an avoid note. --> Avoid notes only play a role in major chords. --> An upper structure triad can be major, minor, diminished or augmented. --> For me major upper structure triads work best. --> You can use upper structure triads for soloing as well as for comping. --> Triads are technically non complex chord forms, but in combination with a bass player they can really open up your sound. Here's a list of upper structure triads that sound. V means we build the upper structure triad on the 5th note (compared to the root of the chord). V- would mean a minor triad on the 5th note. V+ would mean an augmented triad on the 5th note. bVII would mean major triad on the b7. bV are the tritone upper structures. Here's a guitar lick example to help you understand this more! There's a C major arpeggio in the second bar, which sounds like b7, 9 and 11 on D minor. Thanks GS! Glad you like it! Awesome job. Thanks for the lesson. That's another book I gotta add to my collection. I bought the book probably 4 years ago now... it's pure heaven. Sometimes it still baffles me. It's a book that will definitely keep you busy for years - so even though it's expensive, it is soooo worth it. I hope so anyway - it's useful information, none the less! Great lesson, but what I'd really like to know is the progression you've got going on in the musical example? I love it! Glad you been busy darling! great lesson once again. Bookmarked. Ah I've heard of this or at least something very similar referred to before as polychords but this lesson actually put it in a way that's making me play properly with it and paying more attention. avoid notes for different keys? What is an avoid note?